If you had all the money in the world, nothing is impossible, winning the lottery could afford you the majestic mansions you have always wanted. Like many millionaires who spend money living in a safe haven enjoying the luxuries, you too can own your spectacular palace worth millions, designed to your taste, representing what you like, whether it is history, art or culture. 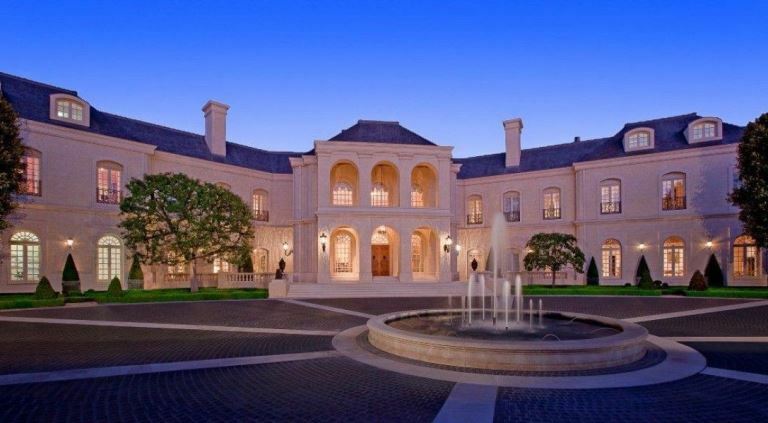 The Beverly Estate is on the market for a staggering $195 million, the second most expensive property in the United States. An estate that is well-known for its unique history, where high profile celebrities and royals such as the Kennedys, Rihanna, Whitney Houston and Prince Albert of Monaco were the invited guests. The grand estate was built for the local banker Milton Getz which was later owned by publisher William Randolph Hearst, a newspaper publisher and actress Marion Davies. The fourth current owner of the residence is Leonard Ross, an attorney and businessman who bought the manor back in 1976. Today, the Beverly House Estate is an ideal location for special memorable occasions, parties, philanthropic events and also suitable for vacations for your families and friends. 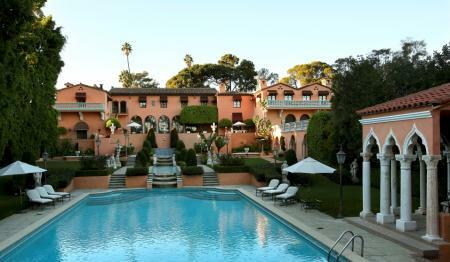 This property set on five acres is in the centre of Beverly Hills, a few blocks away from the Sunset Boulevard. The breath-taking 50,000 square foot mansion features a driveway, fountains that lead on to a large outdoor swimming pool, in fact the gardens are the most impressive designed by Paul Thiene, the landscaping artist. The interiors in the house show the classical arched ceilings, hand -carved woodwork, panelled walls and state-of-the-art drop-down screen in the living room. Having 30 bedrooms, a two-story library, a relaxing spa, and a 32-foot-long billiard room with original herringbone parquet flooring. This place also features a big terrace that can hold over 1,000 guests for outdoor parties. The property served as the honeymoon for the former President John F. Kennedy and first Lady Jacqueline Kennedy. In a handwritten letter which is on display, the Kennedy’s describe their stay ‘It was such like Christmas’. You can actually have an idea how the mansion looks like through the famous films like The Godfather, The Bodyguard and will also feature in an upcoming movie released in 2017. Widely known as The Manor, it is priced at a whopping $200 million showing off lavish things. 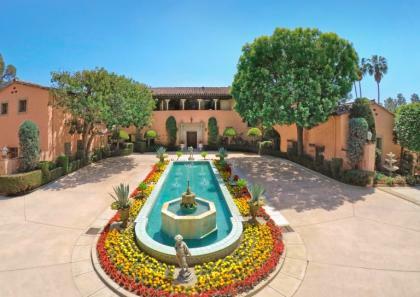 The Manor was built by Aaron Spelling the TV producer of many popular series such as Charlie’s Angels, Fantasy Island, Beverly Hills 90210 and Charmed. The property currently is owned by Petra Stunt, daughter of Bernie Ecclestone, the Formula One racer. She bought the mansion in 2011 and renovated the place to give a more modern look. Spelling manor is 56,500 square feet much larger than the White House, with over a 100 rooms. The property has 17 bedrooms, a bowling alley, a circular motor court with a fountain, a tennis court, a swimming pool, surrounded with gardens and a 100 car garage. Anything else you could wish for is available like a flower-cutting room, several gift-wrapping rooms to having a workout at the gym, unwinding at the spa with tanning treatments and massage, to having a wine cellar and tasting room among other things. What more could you wish for when you have the money to spend? To have everything available for you at a moment’s notice whilst generating more money for you in your own kind of business. Be it a packaging company, a winery or flower arranging, the opportunities are endless.